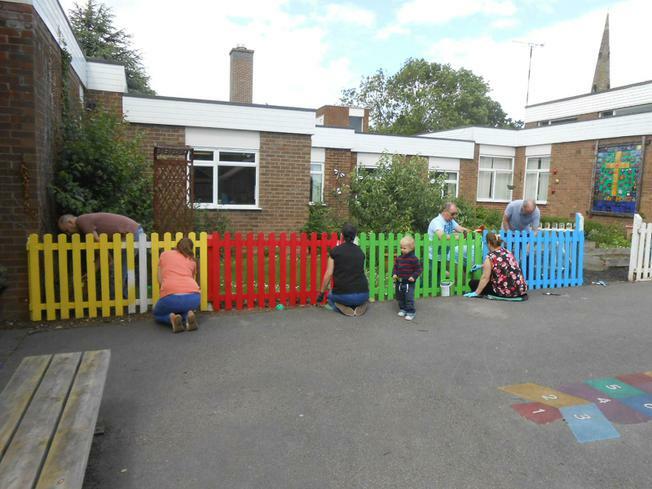 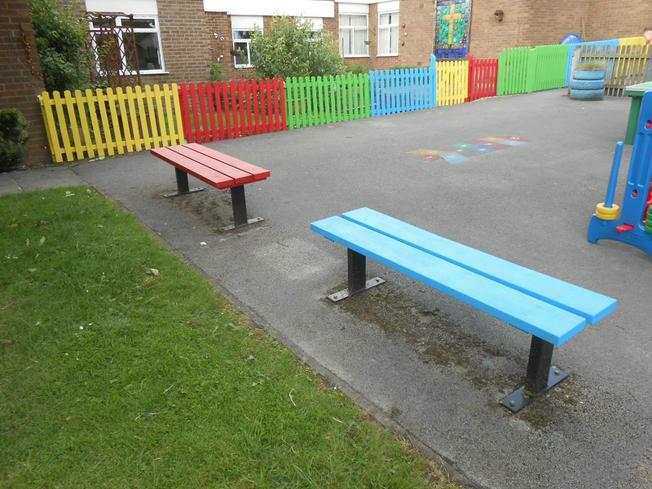 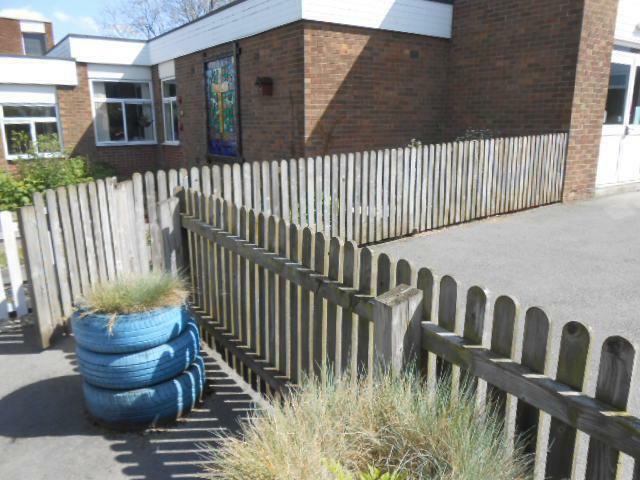 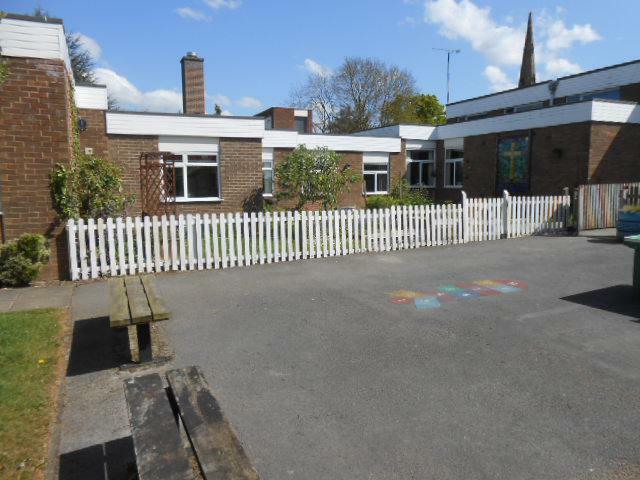 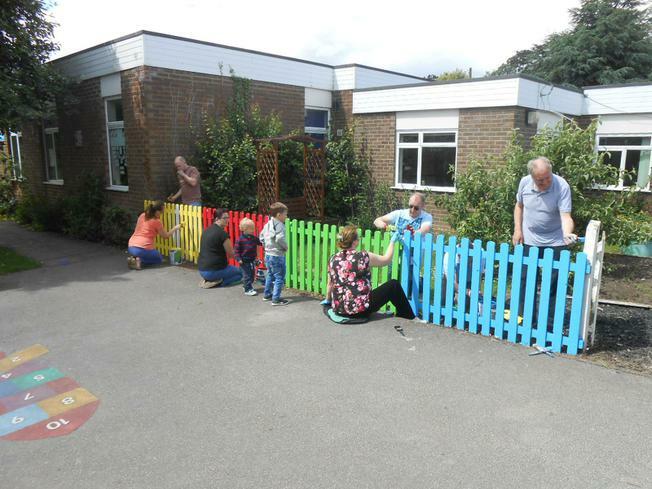 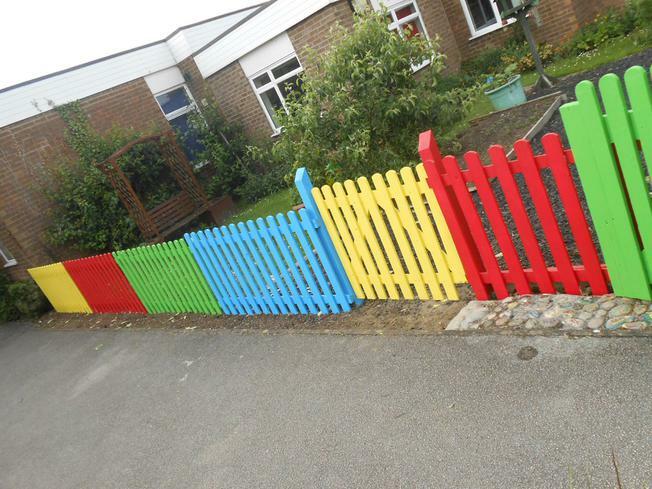 Many thanks to the PTA volunteers who painted the garden fence at All Saints. 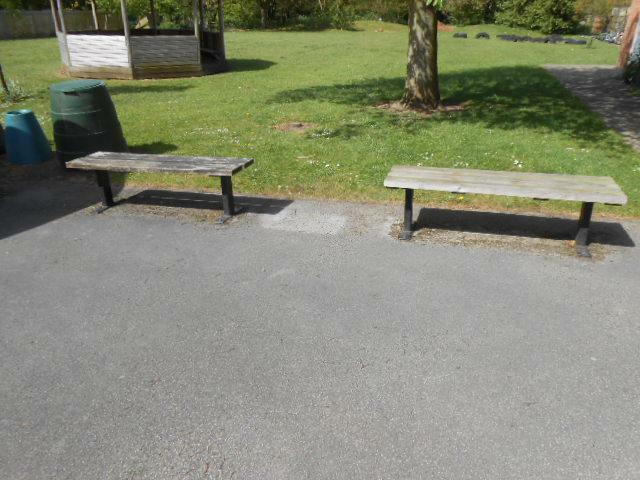 See our 'before', 'during' and 'after' photographs below. 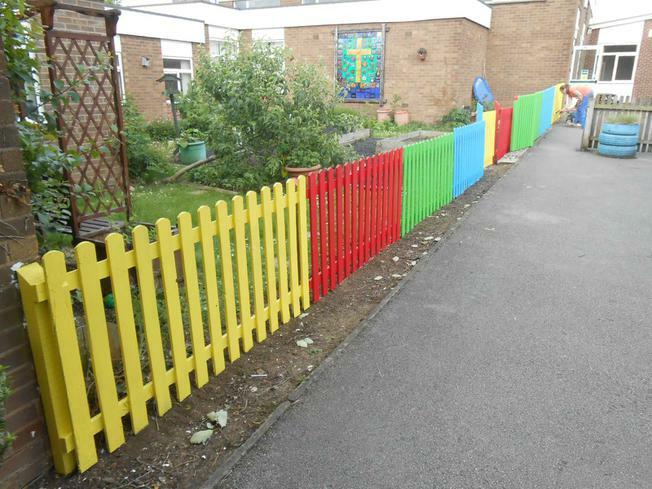 I'm sure you'll agree it's a big, bright improvement!